April 17th in WordPress Themes by Wordpress Jedi . I am a big fan of both Thesis and Genesis frameworks for WordPress. They make developing sophisticated websites easy. Many folks assume that you could only use Genesis or Thesis for blogs or marketing portals. But many other small businesses are relying on these too. If you happen to be interested in powering your real estate website using one of these frameworks, you should give the RealSpot theme a look. RealSpot is a child theme for Genesis and Thesis. Keep in mind that this theme won’t work for Thesis 2 (not at the time of this writing). The theme has a responsive layout and has an easy-to-customize front-page. You can change taxonomy and custom field information to customize your real estate website. RealSpot has 5 color schemes for you to choose from. The homepage slider is decent too. 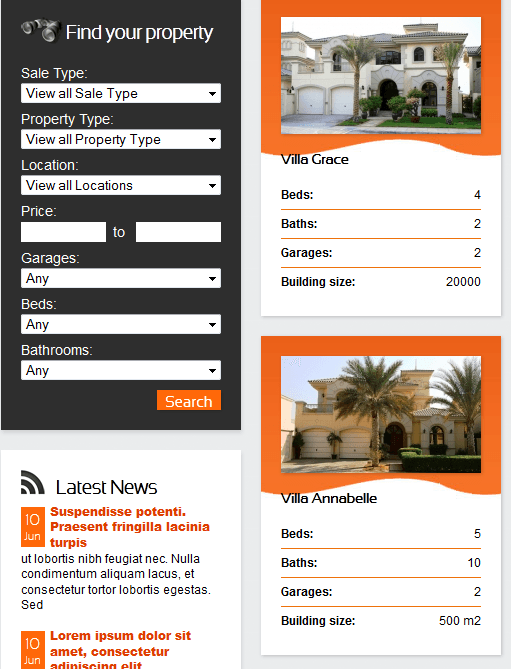 RealSpot is not the most sophisticated real estate theme we have tested. But it does run on Thesis and Genesis, which is a big plus. As long as you know your way around those frameworks, you shouldn’t have trouble getting this theme working fast. Just make sure you download the right version of this child theme to your server.